The prehistoric logboat was found in June 2016 by four local anglers while fishing on the river at Oldbridge, County Meath. 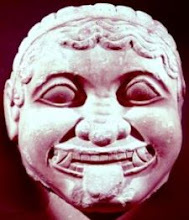 Stephen Murphy, Kieran Maher, William Gregory and David Johnston immediately reported it to the heritage authorities. 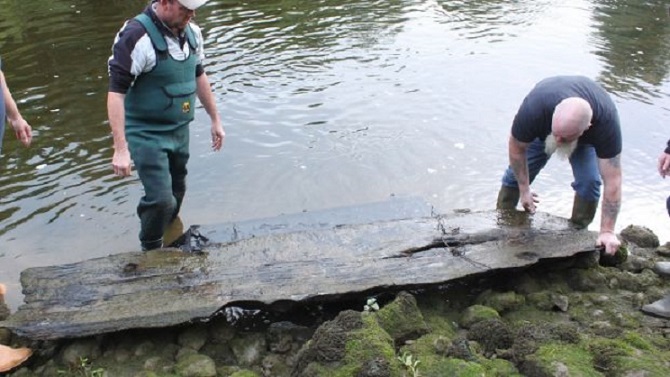 This discovery is one of 11 logboats found in the River Boyne, though this is the first boat found to date to the Neolithic period – a sample of the wood has very recently been radiocarbon dated to between 3,300-2,900BC. This is the period of the construction of the great passage tomb complexes of Knowth, Dowth and Newgrange. The National Monuments Service Underwater Archaeology Unit and the National Museum of Ireland collaborated in recording the boat and carefully removing it from the river bed to the museum facilities, where it is currently undergoing conservation. Minister Madigan said: “I want to sincerely thank all involved for reporting this discovery so quickly, which has allowed for its care and ongoing conservation and for this exciting new scientific date to be obtained. This new knowledge adds to the wonderful archaeological discoveries made this summer across Brú na Bóinne and enhances our understanding of the people within this special landscape, so dominated by the great River Boyne which would have played such a central part in their lives. Details will be added to the Department’s online Wreck Viewer which launched earlier this year and which helps promote a wider appreciation of Ireland’s maritime and riverine archaeology and the important role boats and ships played in the development of our island society over millennia.